Ruskin Bond – one of India’s greatest authors lives here. Other popular celebrities like actor Victor Banerjee, the late Tom Alter and Director Vishal Bharadwaj have properties here. It is not difficult to understand why these people fell in love with this bucolic environment. Just 4 km from Mussoorie, Landour is blissfully quiet. Taking its name from Llanddowror, a small town in Wales, England, Landour has steep winding pathways surrounded by lush vegetation of temperate broadleaf and mixed forests. The small town is best explored on foot and has some interesting phenomenon to witness and places to visit. This is unique only to Landour and some parts of Switzerland. The sun drops behind a false grey coloured horizon with a bright line of yellow and orange colours at its upper end. Due to the refraction of sunlight at a particular conducive angle only in a few spaces in the World, this phenomenon is witnessed, especially from mountainous regions. The Winterline can be best viewed during the months of October to January when the skies are clear and cloudless. Unlike the name (which translates to ‘four shops’), there are 5-6 shops neatly stacked alongside each other with a sit-down area in front of them. 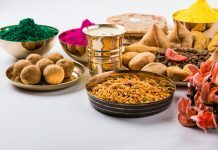 Bun Maska, delicious Waffles, Bread Omelette, Pancakes with Nutella topping and Honey Lemon Ginger Tea are the most popular offering here. Anil’s Café (estd.1920’s), Tip Top Tea Shop and the newly opened Café Ivy are the best among the lot. 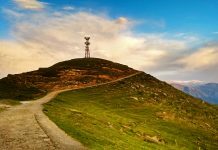 Tibba in local language means high point or peak. 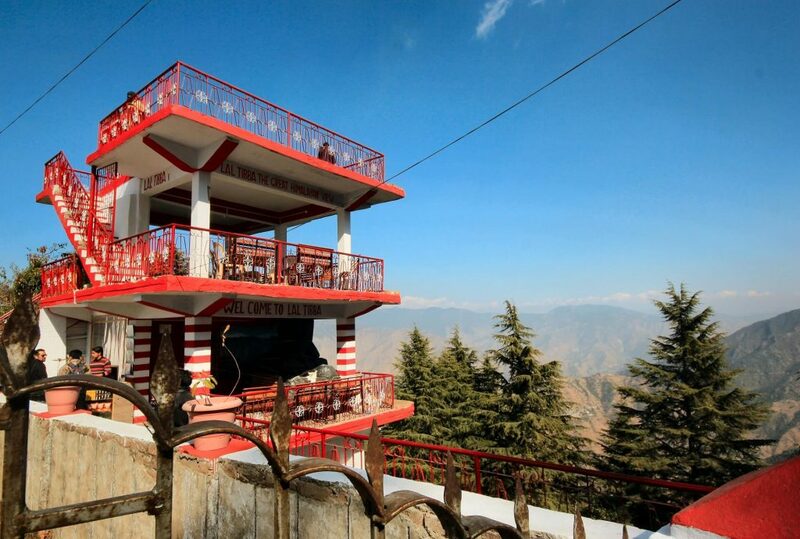 It is a brightly coloured red building offering the best vantage point in Landour to watch the sacred Himalayan peaks of Badrinath, Kedarnath and Banderpunch. 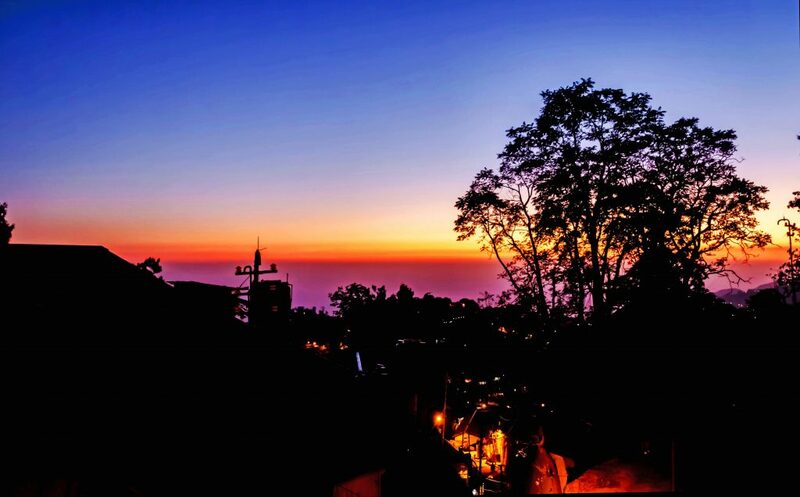 Being the highest point of Landour, it offers spectacular views of the valley and adjoining mountain ranges. The largest church in town was established in 1903 and doubled up as a Language School for the British. It has shades of gothic architecture and typical glass stained windows and is the most famous landmark in town. The church stairs are a popular hangout place for youngsters. 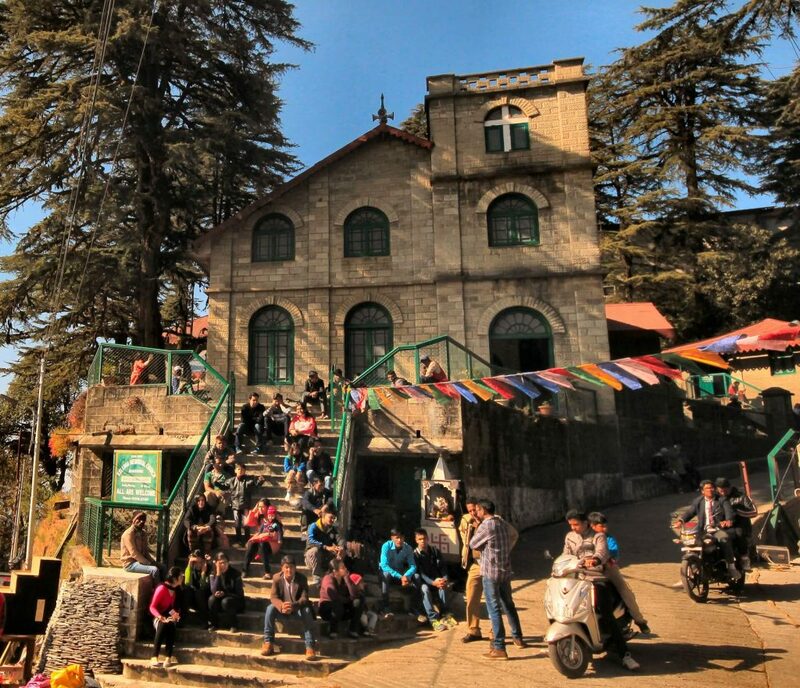 You would be surprised to know that Landour is one of the hubs of secondary education for many young Americans. Many even speak fluent Hindi. Most visit Landour on exchange programs or on gap years to learn the country’s national language. Landour was a military sanatorium. It was specifically meant for the British soldiers. The nurses working at the sanatorium had their barracks near the market and used to frequent this place often and hence the name Sister’s Bazaar. Very few shops are functional here. Anil Prakash & Co. is a general store and sells products meant for the tastes and needs of the local English population. If you visit, you must buy the locally made Peanut Butter, Home Made Cheese, Jams, Marmalades and Preserves and imported alcohol based Dark Chocolates. A local store at the end of the bazaar sells organic cosmetics, souvenirs, accessories, hand-made shawls and toys. The store also sells clothes made up of Himalayan Nettle Fiber. Combined with Silk, it’s a lustrous, long fibre spun by commercial mills to produce unique yarns which are used in high priced apparel. 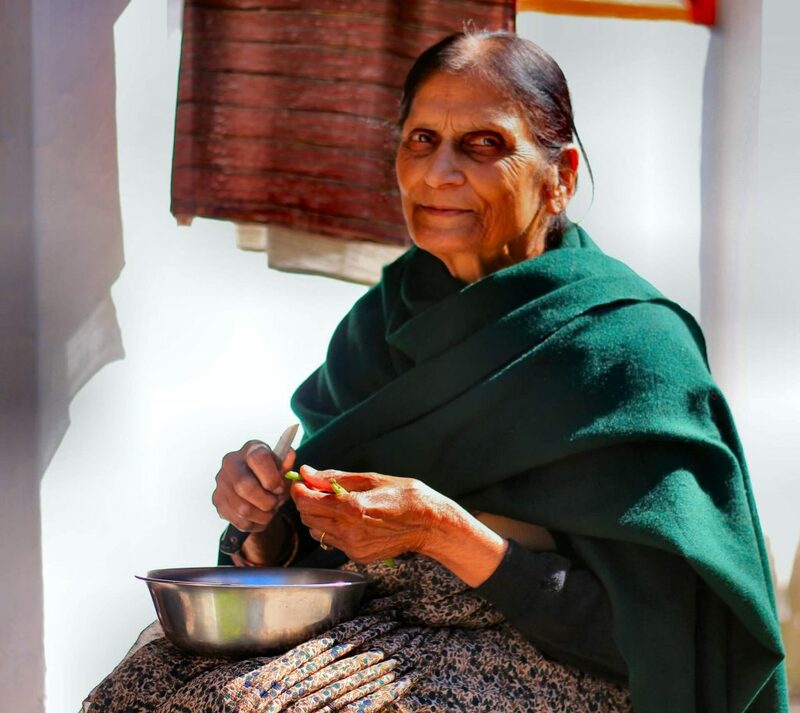 Shawls and woollens consisting of Nettle Fiber cost almost three times more than the usual ones. It is one of the first private forests of the country which works towards environmental sustainability in association with the Forest Department. 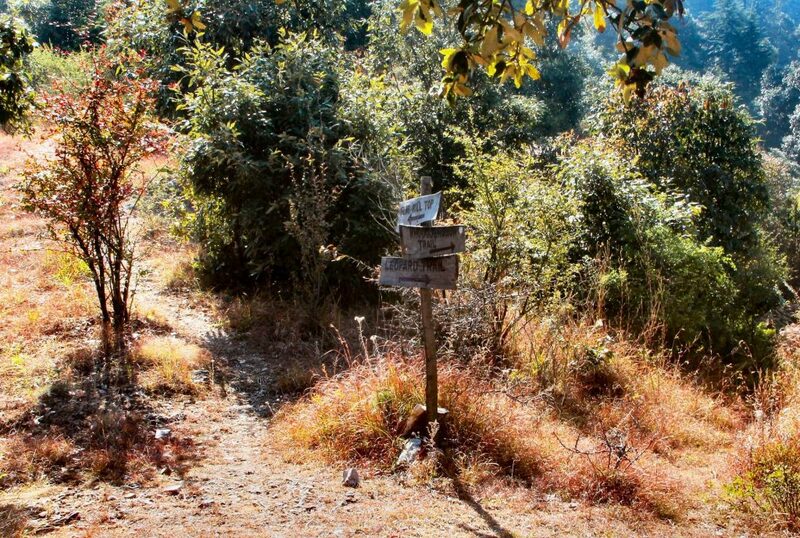 Just 5 km from Landour on the Mussoorie-Dhanaulti Road, Jabarkhet is a mix of tall Pines, Oak and Rhododendron forests. It boasts of more than 100 species of birds and 300 types of flowers. There are 8 walking trails in the reserve like The Rhododendron, Mushroom trail etc. 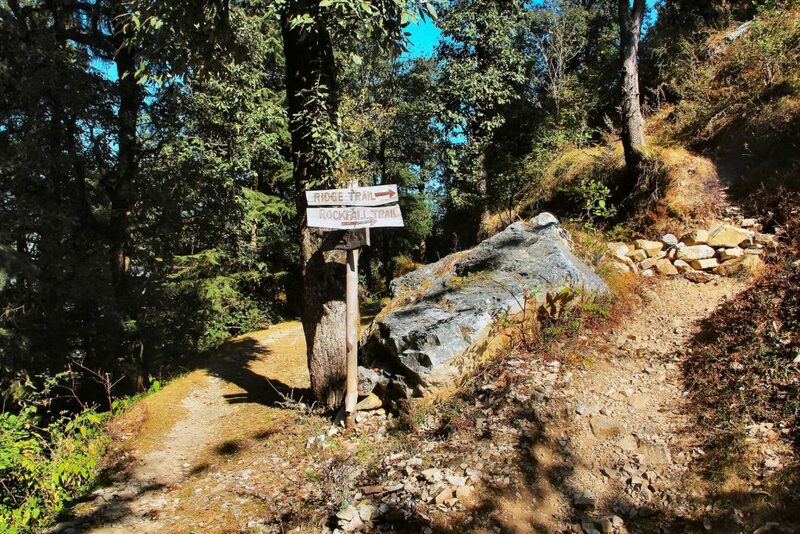 The difficulty of the trek is light to moderate and takes anywhere around 4-5 hours to complete. The top of the reserve offers beautiful views of the snowcapped peaks of the Shivalik Range. Yes, café can be a reason to visit a place. It is that good. 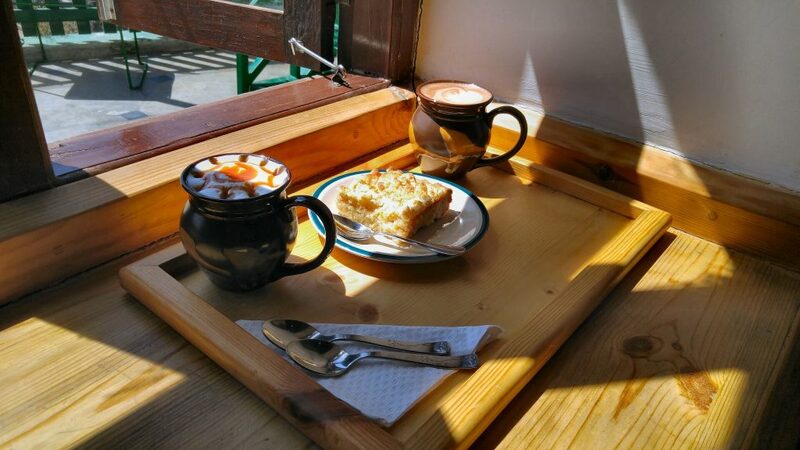 Opened in 2015 by two expats, it is a warm and cosy café. The interior is designed aesthetically. Specific seats near the window, a casual sit-down area in the terrace and spacious rooms with floor cushions and low rise tables make it the perfect place to hang out. Best items on the menu are Caramel Coffee, Magic Bar and Fudgy Chocolate Brownie with Walnuts and Apple Strudel. The crowd is mostly European and American. Just a few meters from the end of Landour Bazaar, the café also offers board games, cards and books to go along with your order. Landour is a 2 hours’ drive from Dehradun.